Our 2015 Calendar Towels are here! 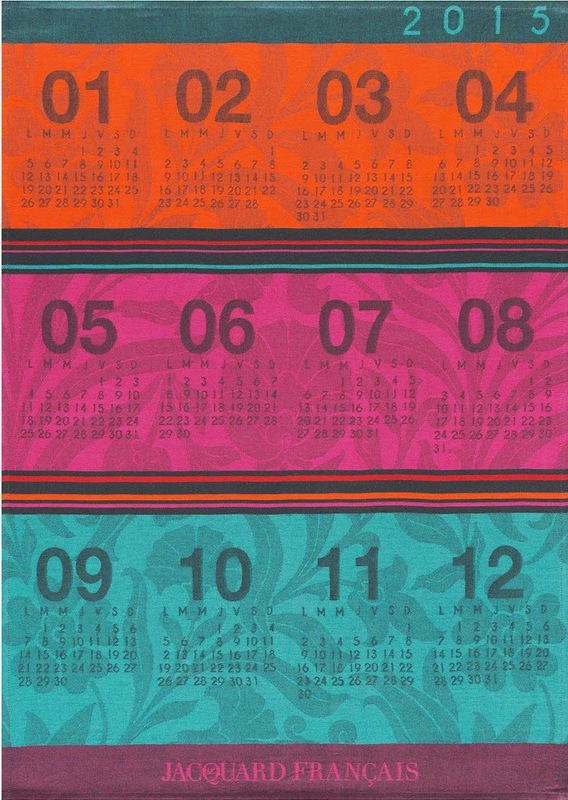 Regular shoppers to Stephen Frank know that Fall brings the arrival of the Le Jacquard Francais calendar towel. Every year these limited edition French Tea Towels sell out. We've doubled our orders for this year but still anticipate running out before the holidays. If you've not experienced the luxury of Le Jacquard you owe it to yourself to indulge in their tight cotton weave and glorious colors. Each year the pattern is different. For a very special hostess gift use these beautiful linens as a wrap for a bottle of wine or one of our fragrant boxed candles.